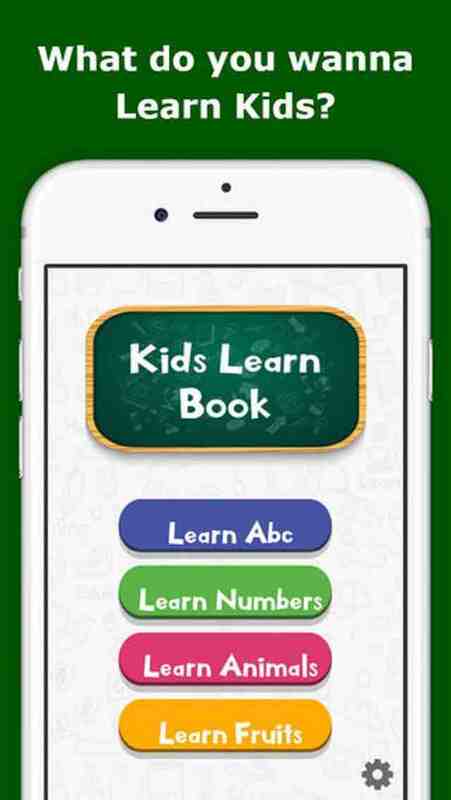 Kids Learn Book Pro – an Educational App for iPhone and iPad, fun learning app, an interesting, intuitive and amazingly simple fun educational app is the best learning app for the kids yet developed. Learning by using Educational Apps for Kids is quite easy to procure, specially via educational apps and games available for iPhone and iPad on iTunes App store. 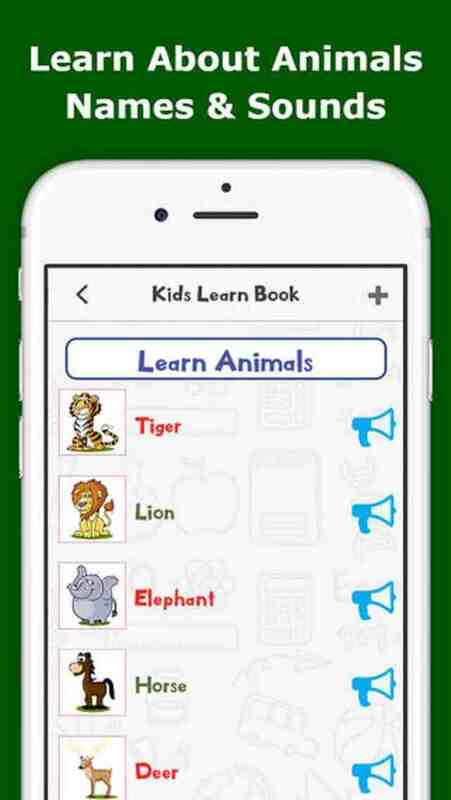 Kids Learn book Pro is a great tool for the parents and teachers to help their kids or students to learn Alphabets, Numbers, Fruits and Animal names and their types as well as Anything Parents want their kids to recognize and memorize with this simple fun learning game for iPhone or iPad. What's Unique in this Educational App? Kids can learn Alphabets, Numbers easily. Kids can spell – Animal names and recognize their sounds with the help of colorful and wonderfully illustrated animal images. Kids can also spell – Fruits and memorize their names, shapes and colors. 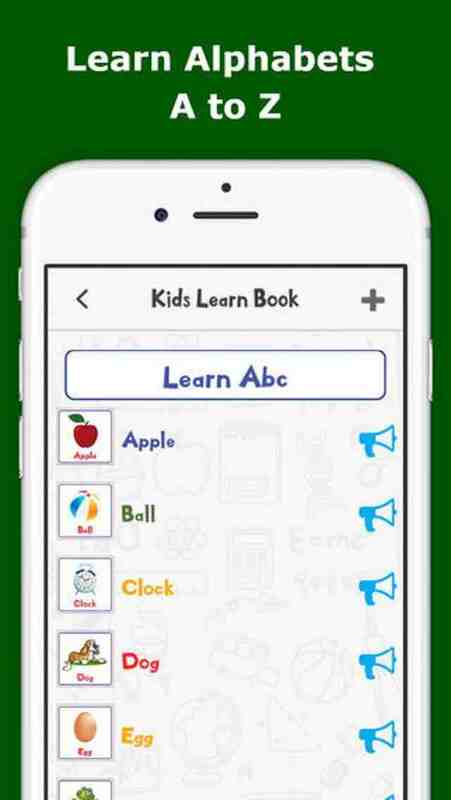 This app helps with easy learning skill areas, four different types of activities for Kids Basic Learning are designed by default. Child-centered and Kids friendly app user interface. Intuitive and easy to use app. Customization of categories and subcategories. Helpful kids educating tool for Parents. Parents can add and customize categories, sub-categories, save and export custom content to PDF as well as schedule sharing this content via Dropbox with other friends and family members easily. 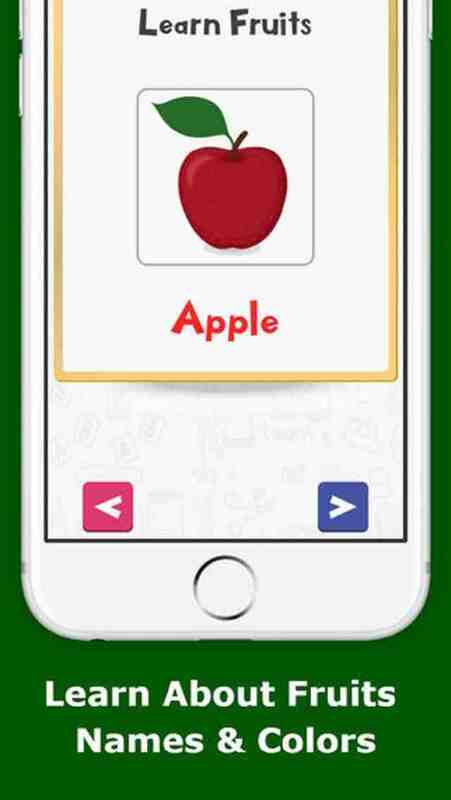 How to Play Kids Learning Game on iPhone or iPad? In this customization or edit mode the parents are allowed to easily edit the Kids learn book pro and customize it the way they want. 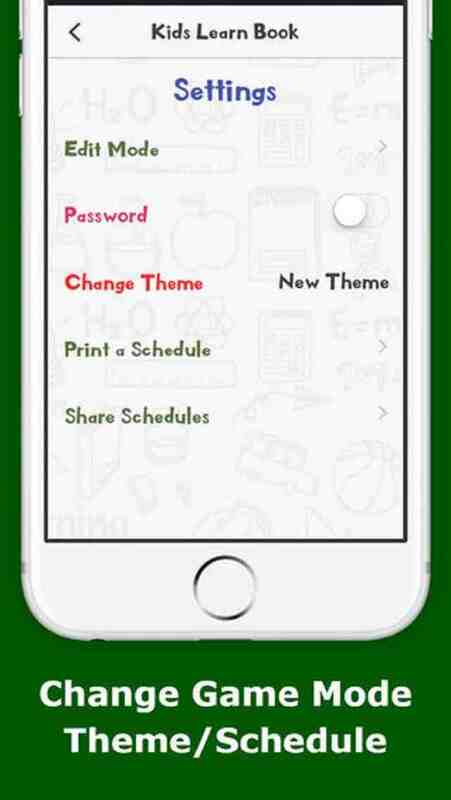 In this Educational app for iPhone and iPad, the parents may add further categories of the content and also they can easily make categories and sub-categories of the content according to their kids learning needs. Parents can add images and titles to the categories. A parent when saving particular category, can also create subcategories to the content. For Example, Kids Learning about Fruits, Parents may add Title of Fruits such as Banana ,Apple, Grapes, Orange, Pineapple with appropriate images and they may record their sound so kids can learn and be more attentive as their parent's voice is familiar to them and they can memorize as well as depict easily what picture is against which voice. Kids can easily recognize and memorize Fruit Names, Shapes, Colors, Spelling and Pronunciation as well. Parents can also record their own or kid’s voice to be played in the game play mode. Password: Password is for the protection of the app to make it child proof. Theme Selection: Theme Selection is to select the old or new game background theme for visual appearance for the app. Alphabets, Numbers, Animals and Fruits. Also with parent defined categories available here in playmode as well. There are Options for Next and Previous categories available in play mode.